My friend Jamie asked me to help out with some style development on her senior project, and I had the awesome opportunity to work with her through the storyboarding and initial style frame phases! Jamie had this amazing idea of following the experience of balls used in sports and personifying them with human qualities. 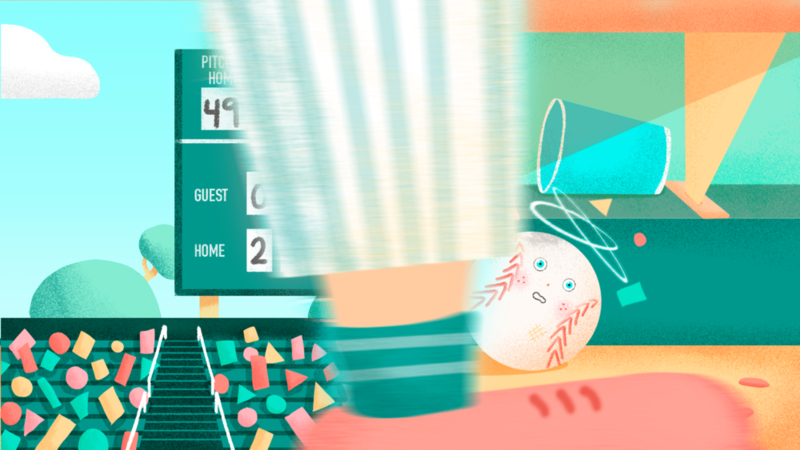 In this partifular board, we follow a lil’ baseball as he’s thrown around. Jamie provided me with a mood board of references, which I was able to use to develop this style. She then took these 4 frames and used the style to flesh out the rest of the board. Here is the initial storyboard and the sketch of the scoreboard. Storyboarding and preliminary sketches are one of my favorite parts of the creative process.